As with the vast majority of modern gins, the botanicals used in the distilling process are quintessential to local cuisine. In the case of this Japanese gin, shequasar, a small, green citrus fruit native to Okinawa is used and the recipe also includes goya, the anti-ageing, cucumber-shaped bitter melon. 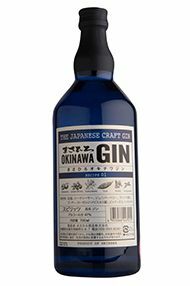 These locally foraged and strange botanicals from Okinawa give a sense of place to the gin which is totally unique and truly exotic to our palates. Happily, though, it still tastes like a gin (just). It keeps a core of juniper, and balance is achieved by the exceptionally quality and pin-point precision of the distillation. It is an amazing craft.